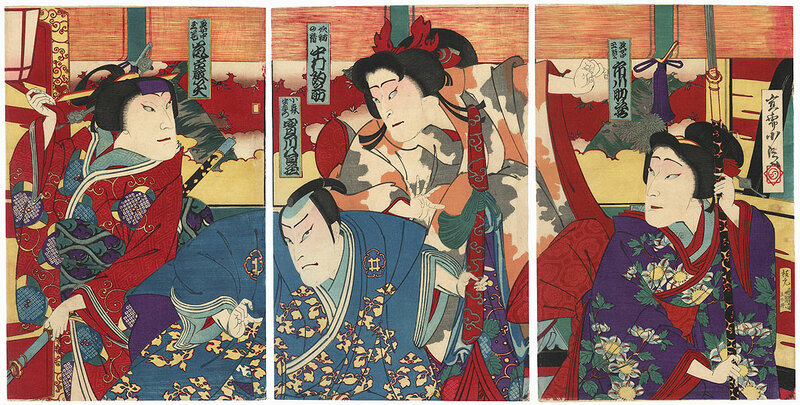 Comments - Handsome rare full oban format kabuki triptych depicting a confrontation between a matron and a beauty. 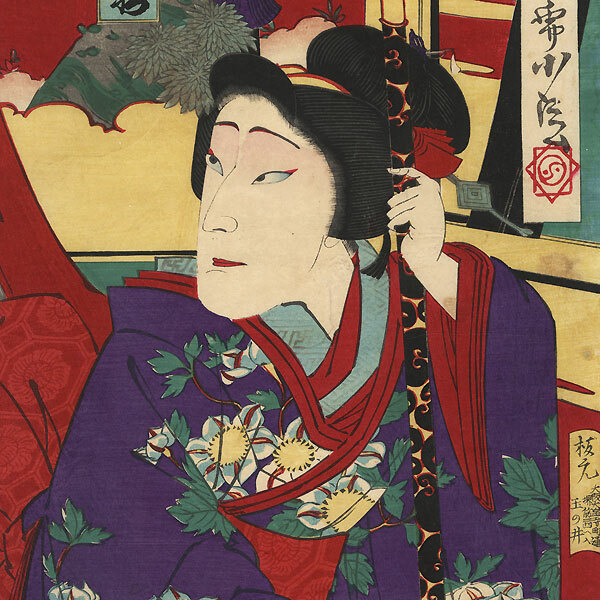 In the center, the young woman throws her hands out in alarm as she stares at the matron, who glares back at her at left, her hand on a scabbard with the blade partially pulled out. The man caught between them crouches slightly, holding a sword wrapped in cloth. Another woman watches at right, holding a spear upright. 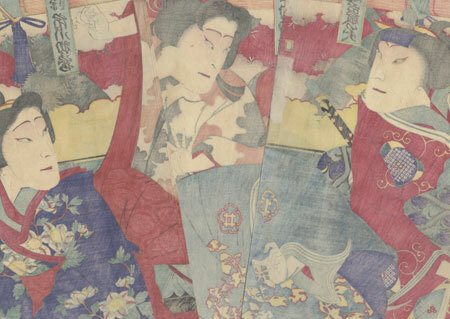 A lively, colorful design, detailed with faint embossing on the white areas of the kimono and touches of metallic pigment that have oxidized to a dark tone. Image Size - 14 1/8" x 27 5/8"
Condition - This print with excellent detail as shown. Two separate panels. A few small holes and thinning spots, a couple small tears, repaired. Slight toning and soiling, a few creases, stain. Please see photos for details.